I’m not going to re-invent the wheel on this page. The North Hollywood Shootout in February 1997 is probably the most well-known incident in the history of the LAPD. If you want more information about this incident, someone has created a spectacular website about it. I suggest you visit www.northhollywoodshootout.com and check it out. Click the button to listen to the audio recording of the LAPD’s response on that day. 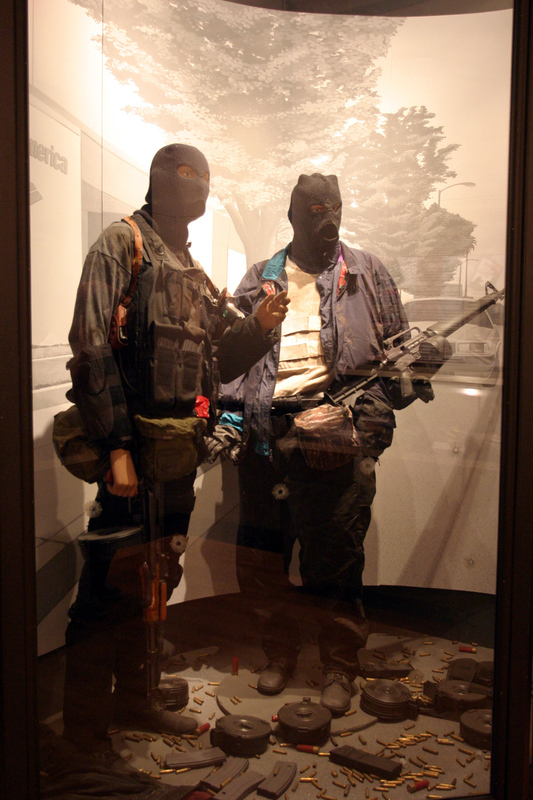 The Los Angeles Police Museum is home to an incredible display of items from this incident, including the actual vehicle, weapons and clothing the suspects used that day,. The Museum is located in the former Highland Park Police Station. I can’t recommend it enough.